Admit it, we have all gone to sleep with makeup cake face, its ok, we all do it. Its part of being an adult. After cleaning all day, cooking, running errands etc...you finally get the baby to sleep. You go and look in the mirror and think...'f**k it' and go to bed. I understand! 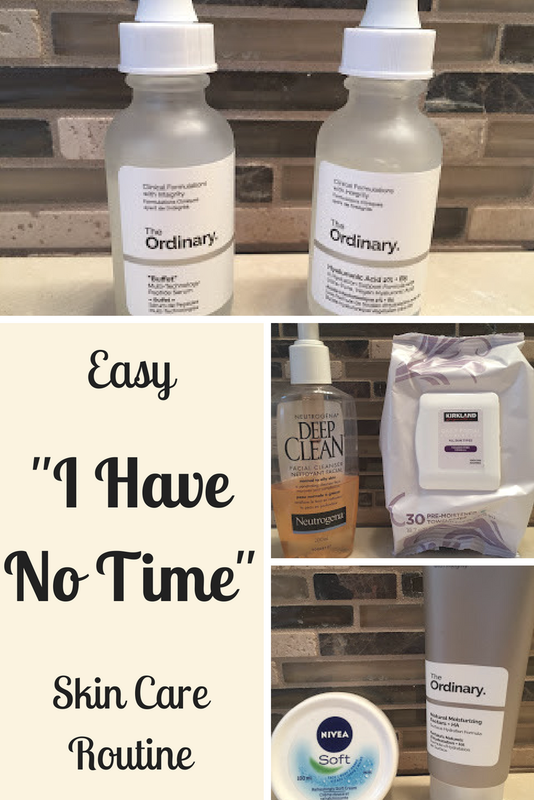 But I am also the first to admit that my skin needs help and I realized that if I did not want to look like I'm 60 when I am 31, I must take action. because I go through a ton of them. 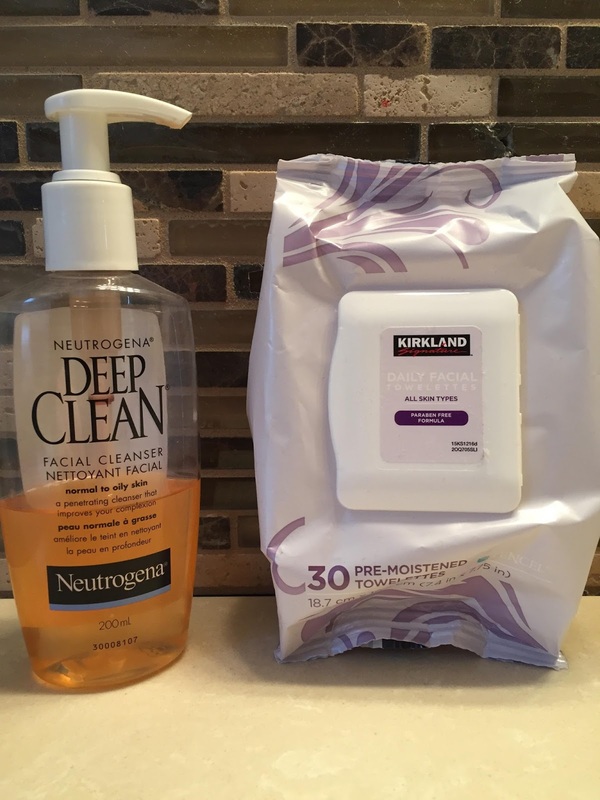 I use them at night to remove my face before I cleanse and also to wipe my face down in the morning. (No I do not wash in the morning...no thank you). After I take off my makeup I use a foamy face wash to remove the rest of the gunk. Currently using the Neutrogena Deep Clean but I am no brand snob, I buy what is on sale. This is my favourite part...serums. 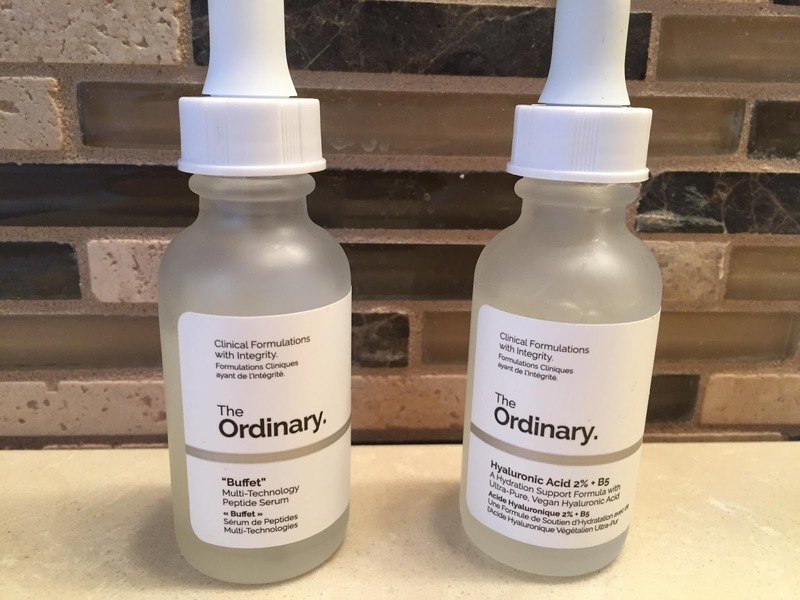 I am currently obsessed with a company called "The Ordinary". They make luxury skincare at very affordable prices. I usually alternate which night I use which serum, but my favourite out of the two is "The Buffet". They are a tad on the sticky side when first applied but its so worth it. After a week of using these serums I noticed a major difference in my skin. My fine lines seemed to be less noticeable, my skin look more hydrated and even, and it gave me this glow from within. very impressed. I will do a whole post on this skincare line...its soo good! My skin is very dry. Like desert dry. I have these horrible red patches of flakiness on my face, back and shoulders. 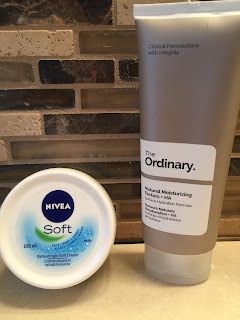 Usually this is a winter problem, my skin seems to behave in the summer for th most part. 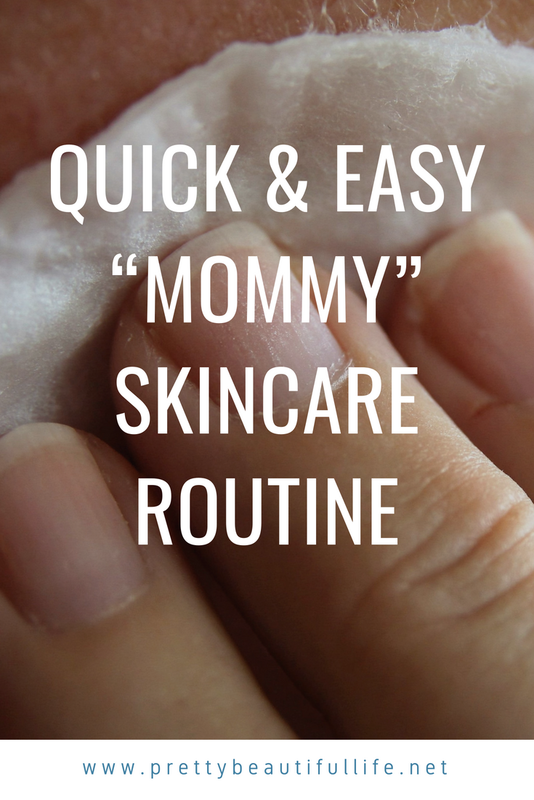 In the morning before I put on makeup, I use this moisturizer from "The Ordinary". It gives me great long lasting moisture but its pretty lightweight, making it ideal for under makeup. The cream is nice and smooth and feels very refreshing going on the skin. At night I use my Nivea Soft Cream. Its my work horse. I love the fresh scent, and the texture is thick and really feels like its working on my dry skin. You can not beat the price, as this tub cost me 6 bucks! Talk about a win. Sounds like my kind of routine! I've been making more of an effort to focus on my skin this year. I am really trying too! Having a little one can be stressful and I want to stays youthful for as long as possible. :) Thanks for stopping by! I need to try and focus more on this. I don't do much at all for my skin. I've been wanting to try out serums and haven't yet! I'm adding these to my list.